The integrated UCLA Head and Neck Surgery-Otolaryngology residency program is designed to produce academic surgeons who are also scholars and productive investigators. Residents receive broad, closely supervised training and experience in diagnosis and treatment of diseases and abnormalities of the ear, nose, throat, sinuses, larynx, esophagus, trachea, bronchi, and lungs. Responsibility increases gradually throughout the program until competence is achieved in medical and surgical treatment of disorders of the head and neck, including ablative and reconstructive surgery for cancer, maxillofacial trauma, plastic and reconstructive surgery, microsurgery of the ear, salivary gland surgery, phonosurgery, and bronchoesophagology. The program integrates training at six affiliate medical centers: Ronald Reagan-UCLA Medical Center, UCLA Medical Plaza Outpatient Clinic, Harbor-UCLA Medical Center, Olive View Medical Center, West Los Angeles VA Medical Center, Santa Monica-UCLA Medical Center, and Children's Hospital of Los Angeles. 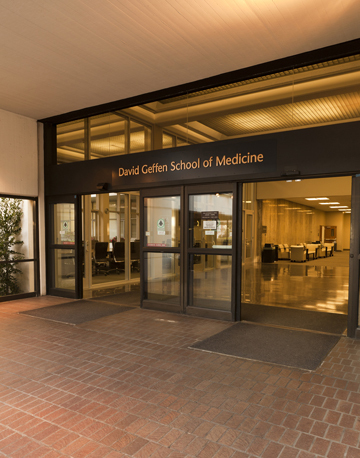 Residents receive their basic science, research and primary didactic training at the UCLA Ronald Reagan Medical Center and serve three-month rotations at the other hospitals. The inclusion of basic science courses and research training in the clinical program, combined with the recognized excellence of the school and faculty, provide a superior milieu for the development of teacher-investigators. A significant number of former trainees have pursued careers in teaching and investigative otolaryngology. In fact, more than 25 former trainees have chaired otolaryngology departments at academic institutions.